Doctors of Chiropractic are the only health care professionals who are thoroughly trained in the detection, location and correction of vertebral subluxations. It requires years of training and clinical practice for a chiropractor to master the analysis and procedures needed to understand and correct subluxations. The information presented on these pages is only a small preview into the scientific and clinical understanding of subluxation. If you have additional questions, please ask us. Subluxations are really a combination of changes going on at the same time. These changes occur both in your spine and throughout your body. 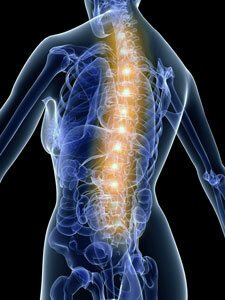 For this reason, vertebral subluxations can be referred to as “Vertebral Subluxation Complex”, or “VSC” for short. The Nerve Component is the malfunctioning of the nerve. The nerves are the communication pathway from the life-giving control centre (your brain), to every muscle, organ and tissue in your body. Research has shown that only a small amount of pressure on spinal nerves can have a profound impact on the function of the nerves. This component is scientifically known as neuropathology.